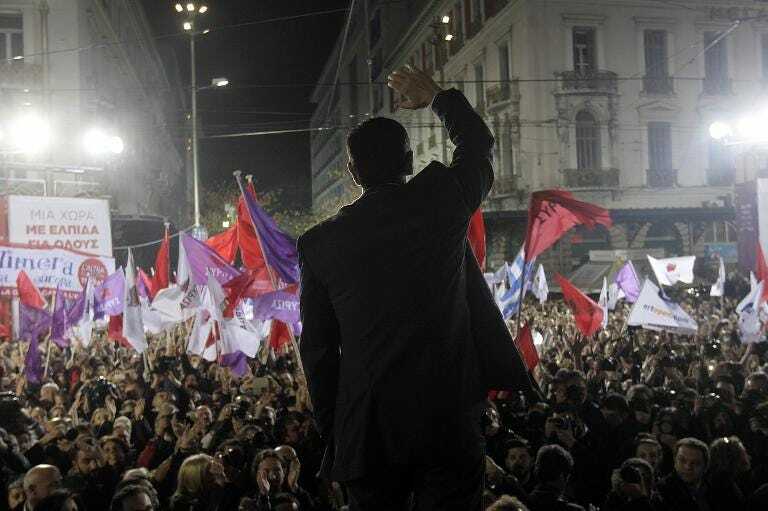 Emotional celebrations as SYRIZA wins the January 25, 2015, general election. See SYRIZA's 2014 governmental program: "Greece: What a SYRIZA government will do"
January 26, 2015 -- SYRIZA has won a great victory in the Greek general election. It became clear in the final days of the campaign that SYRIZA was headed for such a momentous victory. 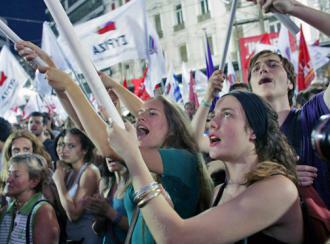 Their rallies across Greece – in town squares, factories and universities – were thoughtful and inspirational. 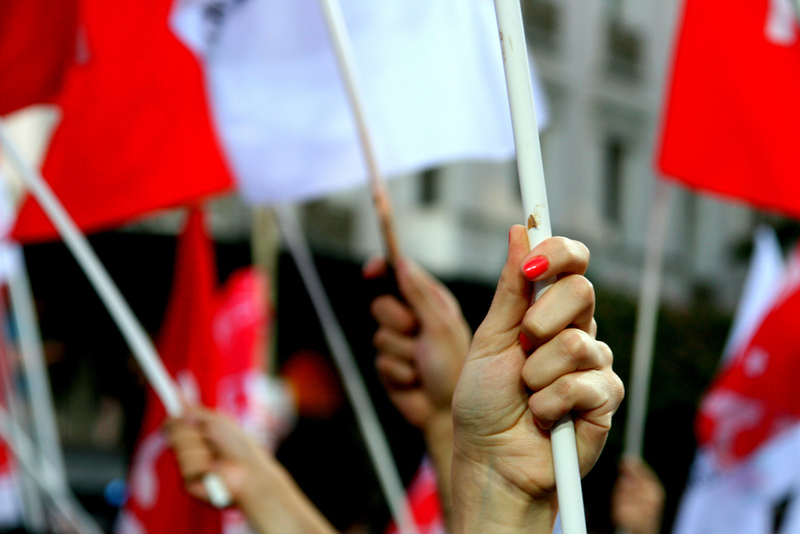 The working class was making its mind up about SYRIZA. Now it has decided and the results are clear – this is nothing short of an overwhelming expression of the people’s will for change, by and for the people. 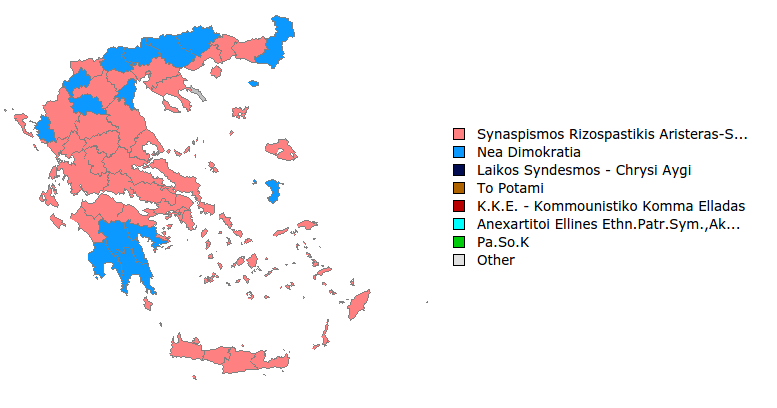 The last question that remains is if SYRIZA will achieve a majority 151 seats out of Greek parliament’s 300 seats. So far they are just short on 149, but final results will take some time. January 25, 2015 -- Green Left Weekly and Links International Journal of Socialist Renewal -- Vivian Messimeris is part of the Green Left Weekly and Links International Journal of Socialist Renewal team covering the January 25 election in Greece. She spoke to Hara Petsiou (pictured), a cleaner sacked from her job at the finance ministry. The sacked cleaners are fighting for their jobs. You can read more of team's eyewitness coverage of Greece HERE and HERE. We are cleaners from the Finance Ministry who work throughout Greece, we are not only located in Athens, but in all of Greece. We work in a range of different government buildings and offices. On September 17 (2013) we arrived to work and we were told that we would no longer be employed. Because of the Troika, I’m not sure why, but they had to retrench a certain number of public employees. 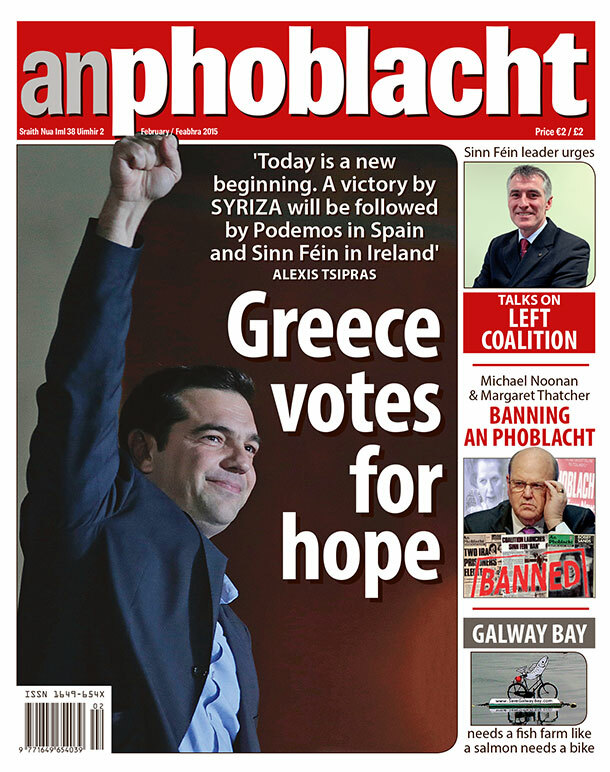 January 23, 2015 -- Green Left Weekly and Links International Journal of Socialist Renewal -- In the days ahead of Greece's January 25 general election, all signs point to victory for the Alexis Tsipras-led Coalition of the Radical Left (SYRIZA). The big unknown is whether the party will win an absolute majority in the 300-seat Greek parliament, freeing it from the need to negotiate with minority parties and ending the chance of a further national poll in case negotiations fail. All Greek political actors are behaving as if SYRIZA will win. The campaign of the ruling New Democracy (ND) of Prime Minister Antonis Samaras has been lackluster, with almost no ND propaganda to be seen on the streets. On January 16, Ta Nea, the daily paper closest to the government, finally conceded a two-page interview to Tsipras, an admission that SYRIZA might actually have an important role to play in Greek politics. September 23, 2015 -- Stokokkino.gr, posted at Links International Journal of Socialist Renewal -- Scotland is also in the grip of austerity today says Colin Fox, leader of the Scottish Socialist Party (pictured). "Scotland is also in the grip of austerity today. The right-wing Conservative Party/Liberal Democrat coalition government in London have attacked the standard of living of working-class people. They have cut public spending on our health, education and social services by many billions of pounds. Britain also has unprecedented levels of debt as a result of bailing out greedy, reckless private banks with huge sums of public money. "While our economic and social conditions have not declined as badly as Greece, working-class people are nonetheless struggling to maintain their living standards. The average family is £50 per week [or 70 euros/week] worse off today compared to 2008. And this despite our economy returning to growth, albeit weak growth. People in Scotland are angry at the London government for making workers families pay for a financial and economic crisis the bankers in the City of London caused. January 23, 2015 -- Links International Journal of Socialist Renewal and Green Left Weekly -- A SYRIZA win will not only be a victory for the people of Greece, but a victory for all people around the world. Over the last four years we have seen the poor pay for the crisis created by the rich, a crisis created by their determination to defend profit and privilege no matter what the suffering inflicted on ordinary people. We have watched as Greece has been used a neoliberal laboratory. Global capital is not restricted by borders and the policies of austerity affect all working people. The struggle against austerity is therefore not just a Greek struggle but an international struggle. 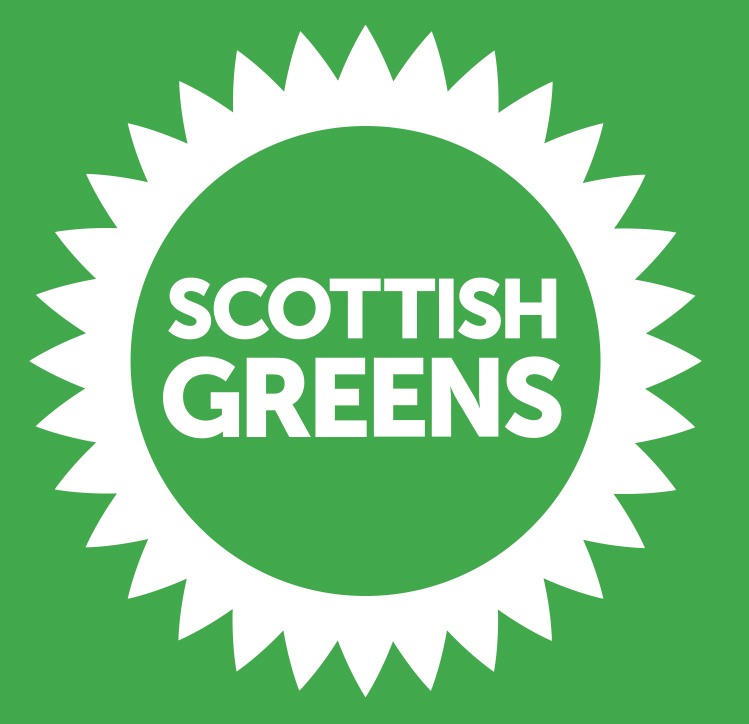 January 2015 -- Scottish Left Review, posted at Links International Journal of Socialist Renewal -- The September 18, 2014, independence referendum taught Greens a very important lesson. For the first time, we talked about the full breadth of our politics. And we were rewarded handsomely for this. While the received wisdom has been that Greens always had to talk about the environment to succeed, the referendum showed that there is huge appeal to core Green policies like citizens’ income, participatory democracy and equality. In England, where Greens have been talking about core Green values like defending public services, renationalising the railways and opposing pro-corporate trade deals, there has been a surge in membership (leading to a doubling in 2014). Greens across the UK are now approaching the UK Indepence Party’s membership, and are beginning to receive some media attention. This is reflected in polling that regularly gives Greens 7%-9% of the vote – the first time such a radical party has scored so highly in the UK. January 13, 2015 -- Yanis Varoufakis, posted at Links International Journal of Socialist Renewal -- Beginning at 3.55 minutes, Yanis Varoufakis, professor of economic theory at the University of Athens, discusses the European economic crisis and expalins why he has chosen to be a SYRIZA candidate for parliament in the January 25, 2015, general election.